For thousands of years people have turned to readers to divine their futures to help them answer some of life's most important questions. I am here for you and to help you with those questions that you have. 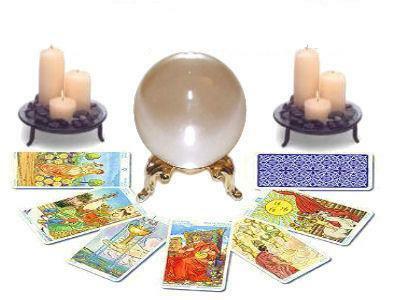 You may think that I am another run of the mill psychic or tarot reader like those that you find on TV late at night, but the truth of the matter is that I am not. See where others charge you because they are on commission or because they need to keep you longer due to making more money, I am here for you because I feel that my gift is to be used to help people just like you. I have no reason to lie to you. Click the button below to start an online chat. Sat & Sun by appointment. Appointments can be made for any day and time. You do not have to have a Paypal account in order to use this link. All payments are done via 3rd Party. I maintain no billing information. Your email address will never be sold. Please contact me before scheduling for in person readings. The online calendar may not always reflect my in person scheduling. Breath of fresh air. Very generous and kind. He's not in for money. I needed to hear what he had to say. Not everything was what i wanted to hear but i absolutely needed it. He's very genuine and very very caring. Highly recommended. Advisor's response: I am so glad that we were able to get some of your questions answered. I always feel very connected to him. Highly recommended! Very nice guy! He really helps me a lot. Highly recommended! Very fast and direct. Honest in his assessment. ty you so much, amazing! Wonderful chat gave me advice and guidance looking forward to the upcoming months. Hope to chat with you soon. Perfect. No words can explain how beyond helpful, insightful, and amazing this reading is. Thank you. Will definitely be back! Wow! He is a gem. Wish I had a reading with him at the very beginning. He knows everything and all the details. I will only go to him moving forward. Accurate, calm, and fast. AMAZING Guy...Spot on..Please try him...you will not be disappointed...Not at all greedy for money and SO VERY GENEROUS with time....God bless You!!!! He has magic cards ! He was very professional and helpful! Straight forward and concise reading. Always got the answers for my questions. Someone you can trust. Thank you Mr Overon! Said I should go with the flat rate of $10 but basically said move on you will meet someone in July in 3-4mins, I couldve went per min instead of wasting $10 on a simple answer. Great flow of information. Thanks! Great reading He was v insightful to the point , fast typist and accurate caring reader.Recommended for sure. Well connected and accurate! Thank you for a good reading. The services offered on this site are for entertainment purposes only. For full disclosure of the Terms and Services of this site and services offered therein please click here. Peterson Digital Design © 2017 All Rights Reserved.